Hollywood Gothique declares Halloween 2014 has begun! Halloween 2014 has officially begun! 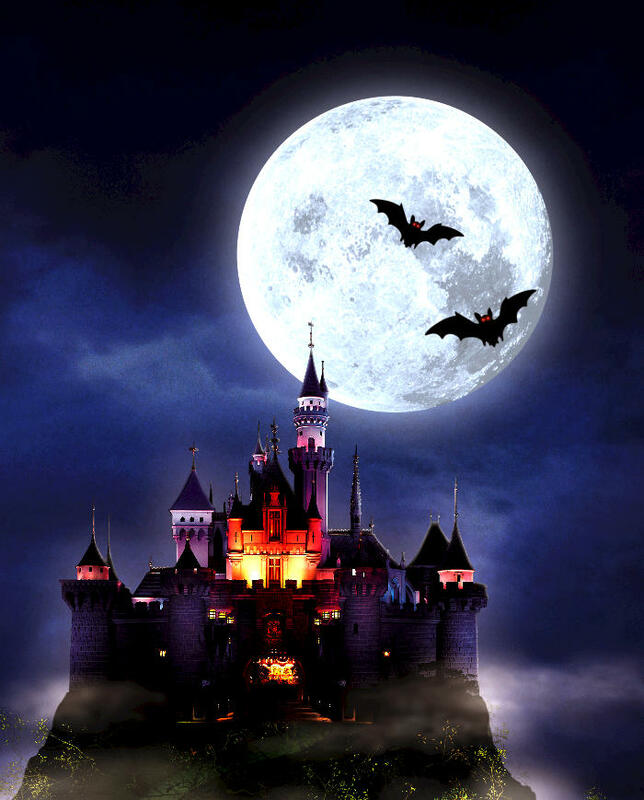 As the season grows ever longer, with evermore Halloween events materializing in Los Angeles, it becomes increasingly difficult to date the official commencement,* but for the past few years we have used the opening of Disneyland Halloween Time as the starting flag. Those fun-loving folks at the Magic Kingdom have obliged us by extending the season every year, creeping forward from September 14 in 2012 to September 13 in 2013 to September 12 this year. Halloween Horror Nights at Universal Studios Hollywood opens on Friday, September 19. The Knotts Scary Farm Halloween Haunt follows on Thursday, Spetember 25. The FrightFair Screampark and the Sinister Pointe Haunted Attraction arrive on Friday, September 26. H.P. Lovecraft's The Call of Cthulhu at the Lex Theatre in Hollywood, starting September 19. The 5th Annual L.A. H.P. Lovecraft Film Fest and CthulhuCon at the Warner Grand Theatre in San Pedro, starting September 26. The Queen Mary Dark Harbor launches on Thursday, October 2, along with the Wicked Lit Halloween Theatre Festival. 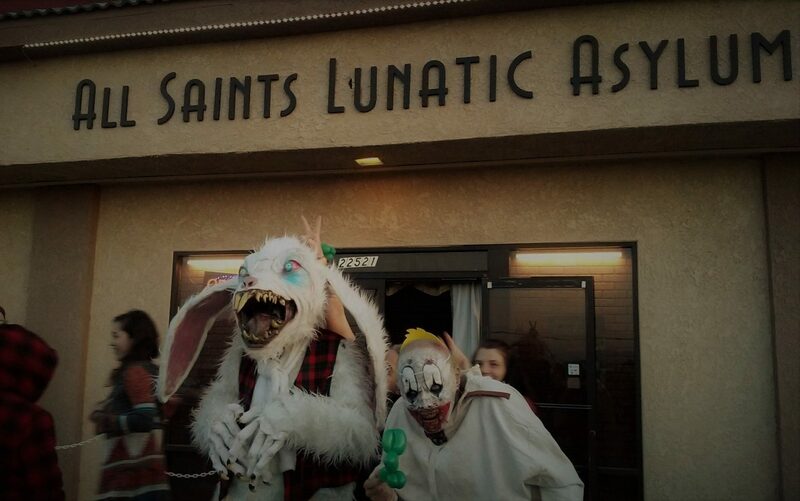 The Los Angeles Haunted Hayride, The Empty Grave Halloween Attraction, Haunted Hollywood Sports, and the Reign of Terror Haunted House follow on Friday, October 3. After that, the Gates of Hell will be opened wide, with an ethereal flood of ectoplasmic entities haunting every shadowy corner of Los Angeles and the surrounding environs. We will be there to cover it all, charting the haunted territory so that you may follow in our footsteps, informed and aware - but no less afraid. So, come along with us - if you dare! The Huntington Library's exhibition Wrestling with Demons: Fantasy and Horror in European Prints and Drawings opened in August and continues through December. Thought not billed as a Halloween event, it certainly suits the season. The Cinefamily's SpectreFest 2014 film festival - which is filled with horror films - started last week and continues throughout October, culminating in a special, to-be-announced event on Halloween Night. 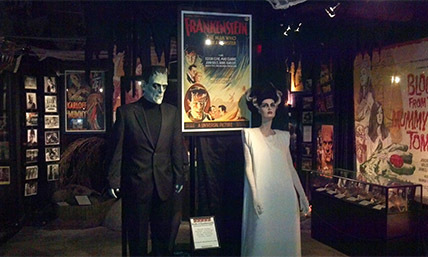 The Hollywood Museum is inviting tourists to spend Halloween in The Dungeon of Doom, but most of the scary displays of horror movie props and sets are on view year-round. We would almost add LACMA's "Let There Be Fright: William Castle Scare Classics," but that series of scary films will wrap up before October, so it doesn't count as a "Halloween event." Still, its presence underlines the point that the demarcation between "Halloween" and "Not Halloween" is very fuzzy in Los Angeles. Win free tix to Dr. Zomba's Ghost Show of Terror! June 15, 2018 Steve Biodrowski, Administrator Comments Off on Win free tix to Dr. Zomba's Ghost Show of Terror!